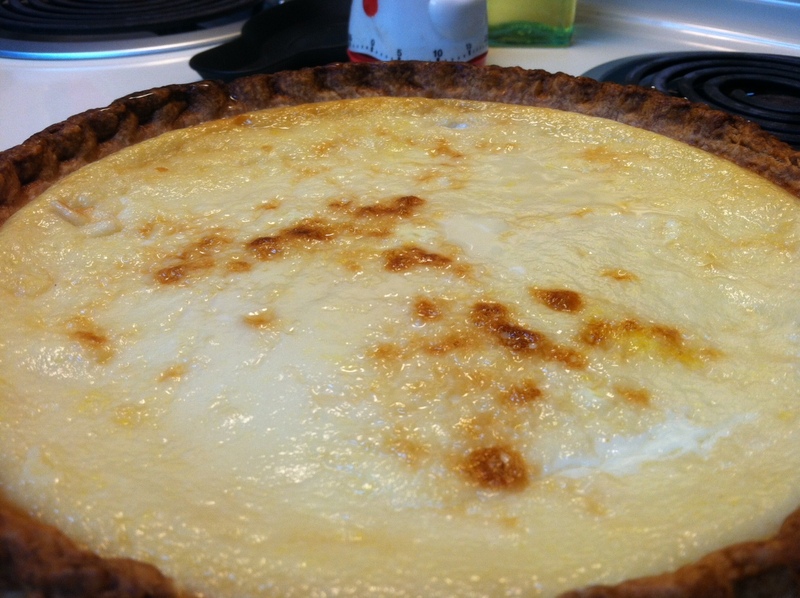 If you search for an egg custard pie recipe on Pinterest, you’ll have a hard time finding a good, old-fashioned recipe that includes a crust. When I first searched for a recipe, years before Pinterest was a thing, online recipes were mostly just egg custards. There was no pie shell – you know, the part that makes it a pie. I had a hard time, but I finally found this recipe. It’s one I’ve stuck with for years, because it turns out delicious every time. It won’t be cakey and it won’t look bubbly on top; it’ll be a smooth, creamy custard inside a perfectly baked pie shell. And! I’ll also share a few tricks to fix two problems that I’ve ran into with custard pies before. Those are: burnt pie crust on the top, and pie crust getting soggy on the bottom/not staying on the bottom where it should be. 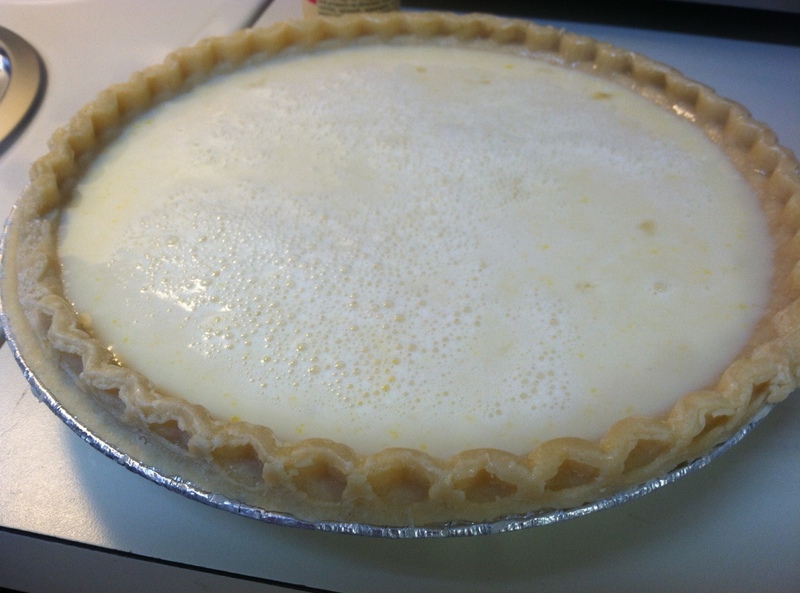 (I’ve had an egg custard once where the pie crust melded with the pie, floating up during baking. You don’t want that.) Here we go! Beat the eggs in a small container, then mix eggs, sugar, salt and vanilla well. Slowly blend in milk. If it looks a little frothy, like in the photo below, that’s okay! 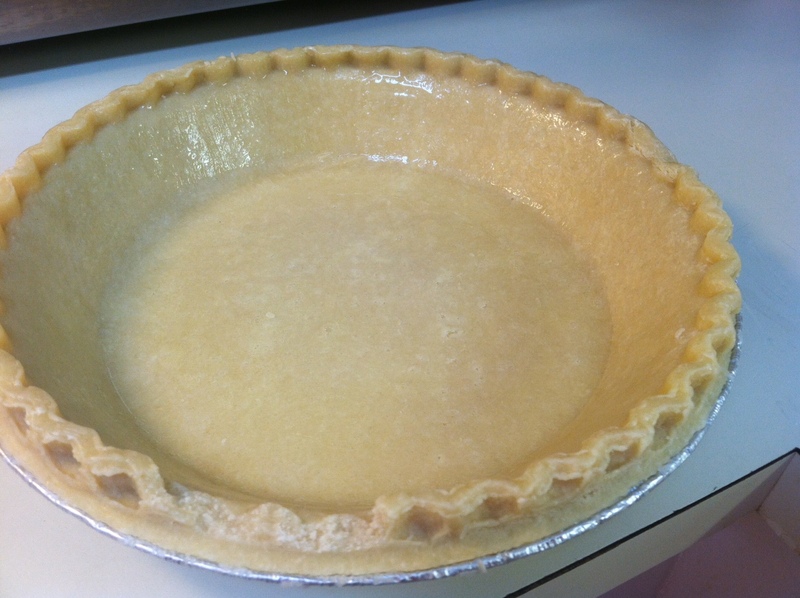 Brush the inside of the pie shell with one egg white – this prevents the pie filling and the shell from melding together and either getting a) soggy or b) mixed together like a messy cobbler. Pour into the pie shell. You will definitely want a deep dish shell, because this old-timey recipe makes a lot of pie filling! And those “regular” pie shells have certainly gotten smaller over the years. Sprinkle the top with a little nutmeg. Matthew’s take: The egg custard is a pie I’ve rarely seen among others at church and other social gatherings over the years. But the egg custard pie is a long-standing tradition in the Tessnear family. It goes back at least as far as my dad’s grandmother on his mother’s side. I grew up eating my mother’s egg custard pies, and this edition was as creamy and tasty as any egg custard pie I’ve ever eaten. Don’t expect to fill up your stomach with an egg custard pie slice. Egg custard is not about quantity. It’s about consistency and taste. The lightness of it makes it a great dessert option following a heavy and filling meal. I give the egg custard pie an A+ for taste, but I would warn you that it’s not the easiest pie to make if you’re not patient, and it will never be the prettiest pie you’ve ever seen from a bright colors standpoint. But you’ll love this pie if you enjoy light desserts and trying a recipe you rarely find on the table.